They say the clown makes the clothes, not the other way around. Actually, outfits do kind of make the difference between a funny clown and just some person acting really creepy at a kid's birthday party, but that's an argument for another time. Clothes also play a very important role in determining what type of clown they are, so in a way, the clothes do make the clown. The difference between a creepy clown and a silly one might be as simple as a funny hat or some big floppy shoes. When you are looking for the right accessory to top off your clown outfit, this Blue Clown Derby Hat may be just what you need. 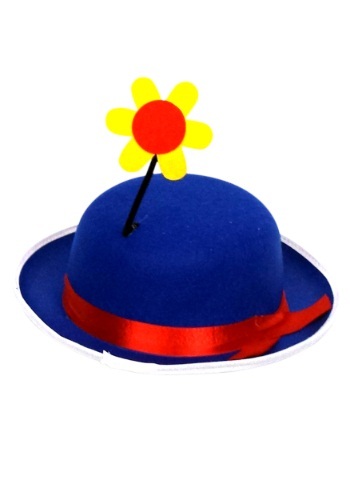 This goofy, fun-looking hat will add some classic style to your costume, along with plenty of color to go with any type of clown outfit you have put together. Now, you just need to decide what kind of clown you want to be!